- Size: 1/16" to 1"
We are offering Glass Balls. Each ball is checked 100% for size accuracy & polish aspects before delivery. Samrin Glass 3" Silver Cracked Glass Ball For Wedding Decoration, Size: 3"
We offer glass mirror balls like glass chandeliers, glass pyramid in size: 6", 8", 10" 12" 16" 24". : 1.18 in. 30 mm. : 1.57 In. 40 mm. 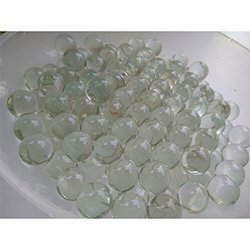 Owing to the efforts of our skilled professionals, we have been constantly engaged in offering a qualitative assortment of Playing Glass Balls. Beautiful Glass balls used for home and event decor. Other Details : Can be used as candle holders or tiny plant holders. Aptly suited for the Christmas mood, this white glass ball breaks light into all the colors of the rainbow. It is also available in various sizes as per your needs. 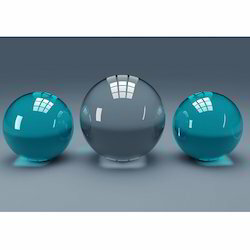 we are supplier and exporter of different coloured glass balls.